Elevating the dorsum (nasal bridge) improves the shadowing along the bridge of the nose, giving the illusion that the eyes are a bit closer, which in turn gives the appearance of facial harmony. Not everyone is willing to go under the knife to look more attractive, so for some, a full surgical ‘nose job’ is not an option. Thanks to rapid advancements in minimally invasive treatments, anyone who wishes to have a higher nose bridge can now do so through the use of dermal fillers and thread lifts. The effect of such a nose lift on the overall profile of the face is the reason why rhinoplasty, or the surgical reshaping of the nose, remains one of the top five cosmetic plastic surgery procedures performed each year, according to the American Academy of Facial Plastic and Reconstructive Surgery. With non-surgical cosmetic procedures creating safe and natural-looking results (which many people increasingly prefer compared to dramatic changes), it’s becoming easier, safer and more affordable to go the minimally invasive route. Dermal fillers are FDA-approved for contouring the face and filling volume loss; in the hands of a highly experienced and well-trained doctor, they can also be used to elevate the nasal bridge, straighten a crooked or ‘saddle nose,’ and even correct small defects from surgical rhinoplasty. The most popular go-to nose fillers Singapore clinics offer patients is made of hyaluronic acid because they have firm but moldable consistency that makes it possible to achieve delicate and very specific improvements such as a higher nose bridge. HA nose fillers are popular because more and more Singapore patients want to have non-surgical treatments and because many such treatments are increasingly available in the country. Hyaluronic acid gets absorbed by the body while leaving new collagen as it dissolves. (In the body, hyaluronic acid is found in the eyes, joints and skin.) 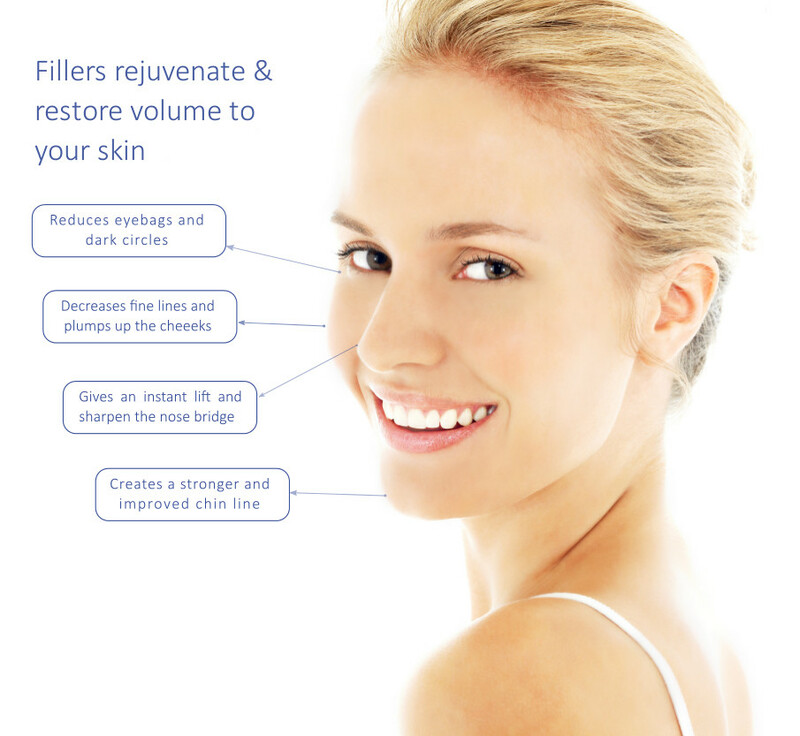 Fillers tend to last 6-12 months, so if you want to achieve a different result from your first treatment, you can have another go after the HA fillers get absorbed. Unlike surgical rhinoplasty, patients using fillers and PDO threads normally return to their routines immediately. Side effects such as bruising, swelling or redness can be camouflaged by makeup as they settle after a few days. Have you always wanted to rejuvenate your appearance or get a facelift without surgery but don’t know where to begin? Read our blog posts on different facial injectable fillers for chin, cheeks and wrinkles, and eye fillers for dark circles to understand various treatments that will address your specific needs.